Normally I post little updates in the SNEAK PEAK section, but I think it is time to give a full rounded update on how the Unity port is going. 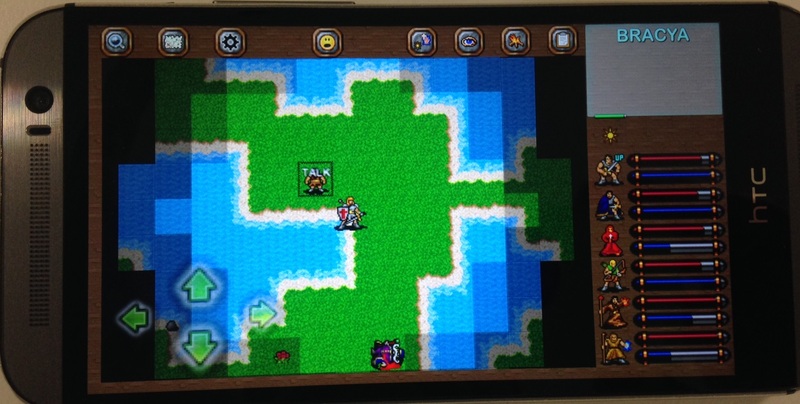 For those not yet across this, I am developing a Unity version of Dungeons of Chaos, which allows me to deliver it to all Android and iOS devices. It will be a new App because otherwise it will overwrite the old App and people’s savegames there (the savegame files are not compatible unfortunately). In the process, which I was expecting, I am taking a fresh approach on many of then data structures and fight mechanics, and making everything a lot less bug-proof (I hope). As of today (4th Feb 2016), the game is in full beta on my own iPhone and tablets. It plays very well and has 95% of the functionality established. I won’t list the many things I have replicated, you can check out the SNEAK PEAK section for that. replicating the random-dungeon routine. Should take me 2 days to get this done. It is a vital factor for replayability and I have great plans for it for the future. 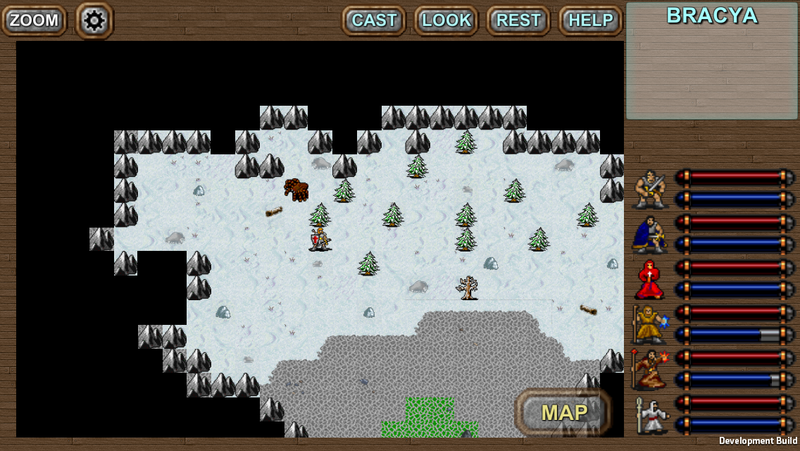 In the old DoC version, it was only the random orc hideouts that were really required to be explored. the castle depths and random mines were optional and I am not sure how many people have dived deep into them. Going forward I plan to put a few more in and make it worth the while a bit more as well. replicating guilds. This is a matter of designing a good User Interface. Should take 1 day. replicating content. All the maps have to be re-done unfortunately, but at the same time it allows me to expand them so it should be good fun for people that have played the old DoC to explore the new one as some things will be different along the way. testing all there is to test in terms of Android. Not looking forward to this. Have yet to install the SDK and test it out on a Samsung GS3. Won’t be able to test many Android versions and devices for obvious reasons, so have to embark on some sort of external playtesting request. To be confirmed. replicating the opening cinematic scenes. implementing more monsters. so far have replicated about 20 of the 60, which covers most but not all possible monster actions. 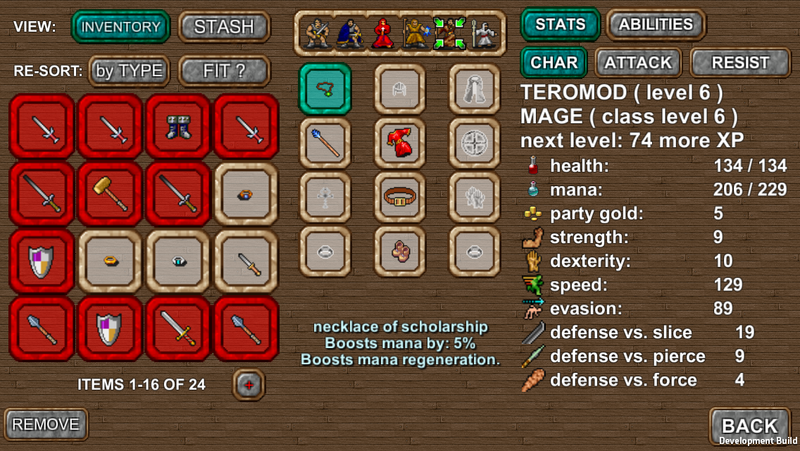 implementing more skills and spells. have replicated half so far. defining all the tile properties. What can you walk through, look through and what does it say when you look at something closely. a whole day of meticulously looking at pixelated art ahead. ADDING new monster or skills and spells. Trouble is time here, I may not add new ones in the first release. Would still be as fun as DoC on iPad was with up to 50h gameplay, so this is something for a future release I think. Lighting. was not really a feature I got a lot of positive feedback for. Realism is sometimes no fun. But given I have a day/night influence to monster spawning, and a daily skill reset, I need to put something in to indicate the time of day. If the atmosphere it creates is not outweighing the negative feedback in terms of not seeing enough, I may obmit this. ADDING animations for certain tiles. to be confirmed. takes a bit of time to look nice. replicating all the NPC dialogue data. time-consuming as I am cleaning it up structurally in the process. 2 days of work in there. I really want to ADD TRAPS. But so far have to decide on how it will work without interfering with the casual play feel I like about my game. Hope that provides some insight. If anyone is keen to playtest, send me an email or reply below and I will see if I am going down that path in the next weeks. Below are also some screenshots taken from an iPhone 5C. The first one is map view without zooming in. Zoom is what most people will use on phone-sized screens though, but I prefer a wider view myself.